Eyal Weizman reports on military tactics known as ‘walking through walls’ where what seems secure can be blown away in a flash. 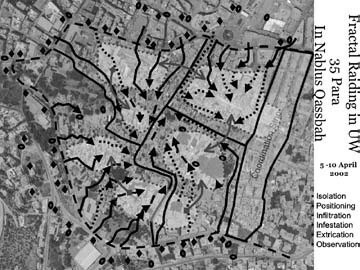 The manoeuvre conducted by Israeli military units in April 2002 during the attack on the West Bank city of Nablus was described by its commander, Brigadier General Aviv Kochavi, as ‘inverse geometry’, which he defined as the reorganization of the urban syntax by means of a series of micro-tactical actions. Soldiers avoided using the streets, roads, alleys and courtyards that define the logic of movement through the city, as well as the external doors, internal stairwells and windows that constitute the order of buildings; rather, they were punching holes through party walls, ceilings and floors, and moving across them through 100-metre-long pathways of domestic interior hollowed out of the dense and contiguous city fabric. 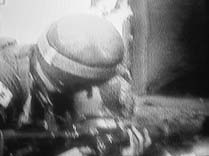 Although several thousand soldiers and hundreds of Palestinian guerrilla fi ghters were manoeuvring simultaneously in the town, they were saturated within its fabric to a degree that they would have been largely invisible from an aerial perspective at any given moment. This form of movement is part of a tactic that the military refers to, in metaphors it borrows from the world of aggregate animal formation, as ‘swarming’ and ‘infestation’. Moving through domestic interiors, this manoeuvre turned inside to outside and private domains to thoroughfares. Fighting took place within halfdemolished living rooms, bedrooms and corridors. It was not the given order of space that governed patterns of movement, but movement itself that produced space around it. This three-dimensional movement through walls, ceilings, and floors through the bulk of the city reinterpreted, short-circuited and recomposed both architectural and urban syntax. The tactic of ‘walking through walls’ involved a conception of the city as not just the site, but as the very medium of warfare – a flexible, almost liquid matter that is forever contingent and in flux. According to British geographer Stephen Graham, since the end of the Cold War a vast international ‘intellectual field’ that he calls a ‘shadow world of military urban research institutes and training centres’ has been established in order to rethink military operations in urban terrain. In their attempt to comprehend urban life, soldiers take crash courses in order to master topics such as urban infrastructure, complex systems analysis, structural stability and building techniques, and study a variety of theories and methods developed within contemporary civilian academia. The reading lists of some contemporary military institutions include works dating from around 1968 (in particular the writings of those theorists who have expanded the notion of space, such as Gilles Deleuze, Félix Guattari and Guy Debord), as well as more contemporary avant-garde writings on urbanism and architecture that proliferated widely throughout the 1990s, and relied on postcolonial and post-structuralist theory. According to urban theorist Simon Marvin, the militaryarchitectural ‘shadow world’ is currently generating more intense and better funded research programmes than all university programmes put together. 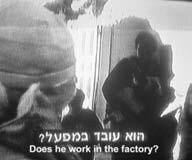 Following global trends, in recent years the Israeli Defence Force (IDF) has established several institutes and think-tanks at different levels of its command and has asked them to reconceptualize strategic, tactical and organizational responses to the brutal policing work in the Occupied Territories known today as ‘dirty’ or ‘low intensity’ wars. Notable amongst these institutes is the Operational Theory Research Institute (OTRI), which operated throughout the decade extending from the beginning of 1996 to May 2006, under the co-directorship of Shimon Naveh and Dov Tamari, both retired brigadier-generals. OTRI employed several other retired officers, all at the rank of brigadier-general, from the different corps of the IDF. Besides ex-soldiers, it employed several young researchers, usually doctoral candidates in philosophy or political science from Tel Aviv University. Until 2003, its core course, ‘Advanced Operational Approach’, was obligatory for all high-ranking Israeli officers. In an interview I conducted with him, Naveh summed up the mission of OTRI: ‘We are like the Jesuit order. We attempt to teach and train soldiers to think… We have established a school and developed a curriculum that trains “operational architects”’ Former chief of staff Moshe Ya’alon, who promoted the activities of OTRI, described the signifi cance of the institute after its closure in May 2006: ‘The method of operational assessment that is used today in the Regional Commands and in the General Staff was developed in collaboration with OTRI… OTRI also worked with the Americans and taught them the methods we have developed.’ According to Lt-Col. David Pere of the US Marine Corps, who is now writing the corps’ ‘operational doctrine manual’, ‘Naveh and OTRI’s infl uence on the US has been immense… One can hardly attend a military conference in the US without a discussion of Shimon’s work…’ The British and Australian militaries are also integrating the concepts developed at OTRI into their formal doctrines. One of the main reasons why Israeli military doctrine on urban operations became so influential among other militaries is that Israel’s conflict with the Palestinians since the Intifada has had a distinct urban dimension. The targets of both Palestinian and Israeli attacks were primarily the cities of the other. Israel’s new methods of ground and aerial raids were honed during the second (Al-Aqsa) Intifada and especially ‘Operation Defensive Shield’, the series of military raids on Palestinian cities launched on 29 March 2002, following a spate of Palestinian suicide attacks in Israeli cities. The attacks targeted diff erent kinds of Palestinian urban environments: a modern city in Ramallah; a dense historic city centre in the Kasbah of Nablus; an international holy city in Bethlehem; and the refugee camps of Jenin, Balata and Tulkarm. The urban setting of these attacks was why they were keenly observed by foreign militaries, in particular those of the USA and UK, as they geared up to invade and occupy Iraq. Indeed, during ‘Operation Defensive Shield’ the West Bank became a giant laboratory of urban warfare at the expense of hundreds of civilian lives, property and infrastructure. Military attempts to adapt their practices and forms of organization have been inspired by the guerrilla forms of violence that confront it. Because they adapt, mimic and learn from each other, the military and the guerrillas enter a cycle of ‘co-organization’. Military capabilities evolve in relation to the resistance, which itself evolves in relation to transformations in military practice. Although the mimicry and re-appropriation of military techniques represent the discourse of a common experience, the Israeli and Palestinian methods of fighting are fundamentally diff erent. The fractured Palestinian resistance is composed of a multiplicity of organizations, each having a moreor- less independent armed wing – Iz Adin al-Qassam for Hamas, Saraya al-Quds (the Jerusalem Brigades) for Islamic Jihad, Al-Aqsa Martyrs Brigade, Force-17 and Tanzim al-Fatah for Fatah. These are supplemented by the independent PRC (Popular Resistance Committees) and imagined or real members of Hizbollah and/or Al-Qaeda. The fact that these organizations shift between cooperation, competition and violent conflict increases the general complexity of their interactions and with it their collective capacity, efficiency and resilience. The diffused nature of Palestinian resistance, and the fact that knowledge, skills and munitions are transferred within and between these organizations – and that they sometimes stage joint attacks and at others compete to outdo each other – substantially reduces the effect that the Israeli occupation forces seek to achieve by attacking them. According to Naveh, a central category in the IDF conception of the new operations [developed to counter Palestinian resistance] is ‘swarming’. Swarming seeks to describe military operations as a network of diff used multiplicity, of small, semi-independent but coordinated units operating in general synergy with all others. This principle assumes that problem-solving capacities are found in the interaction and communication of relatively unsophisticated agents (ants, birds, bees, soldiers) without (or with minimal) central control. The swarm manoeuvre is perceived by the military as non-linear in temporal (as well as physical) terms. Traditional military operations are chrono-linear in the sense that they seek to follow a determined sequence of events embodied in the idea of ‘the plan’ which implies that actions are predicated to some degree on the successful implementation of previous actions. The activity of a swarm, by contrast, is based upon simultaneous actions which are dependent but not predicated on each other. The narrative of the battle plan is thus replaced by what Naveh calls ‘the toolbox’ approach, according to which units receive the tools they need to deal with emergent situations and scenarios, but cannot predict the order in which these events would actually occur. By lowering the thresholds of decision-making to the immediate tactical level, and by encouragement of local initiative, different parts of the swarm are supposed to provide answers to the forms of uncertainty, chance and uncontrolled eventualities that the nineteenth-century military philosopher Carl von Clausewitz called friction. 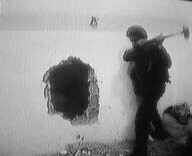 The method of ‘walking through walls’ e mployed by the IDF in the attacks of ‘Operation Defensive Shield’ had already been part of its tactical manual in matters of small-scale operations and arrests where the doorway of a home was suspected of being booby-trapped. However, as the defining mode of manoeuvre in large-scale operations, it was fi rst tested out in March 2002 in a raid commanded by Aviv Kochavi of the paratroop brigade on the refugee camp of Balata at the eastern entrance of Nablus, just weeks before Operation Defensive Shield commenced. It was employed in response to tactical necessity. In anticipation of an impending Israeli attack, militants from different Palestinian armed organizations had blocked all entries to the refugee camp, filling oil barrels with cement, digging trenches and piling up barricades of rubble. Streets were mined with improvised explosives and tanks of gasoline, and entrances to buildings on these routes were boobytrapped, as were the interior stairwells, doorways and corridors of some prominent structures. Several lightly armed independent guerrilla groups were positioned within the camp in houses facing major routes or at major intersections. In a briefing called by Kochavi prior to the attack, he explained to his subordinate officers: ‘The Palestinians … expect us … to come in old-style mechanized formations, in cohesive lines and massed columns conforming to the geometrical order of the street network.’ … [The IDF would do otherwise]: ‘We completely isolate the camp in daylight, creating the impression of a forthcoming systematic siege operation … [and then] apply a fractal manoeuvre swarming simultaneously from every direction and through various dimensions of the enclave … Each unit refl ects in its mode of action both the logic and form of the general manoeuvre… Our movement through the building pushes [the insurgents] into the streets and alleys, where we hunt them down.’ Divided into small units, the soldiers then entered the refugee camp from all directions simultaneously, punching holes through walls and moving through the homes of civilians rather than along the routes where they were expected. For anyone who might imagine that moving through walls constitutes a relatively ‘gentle’ form of manoeuvre, it is worth describing the IDF’s tactical procedures: soldiers assemble behind a wall. 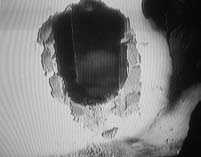 Using explosives or a large hammer, they break a hole large enough to pass through. 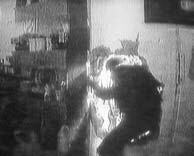 Their charge through the wall is sometimes preceded by stun grenades or a few random shots into what is usually a private living room occupied by its unsuspecting inhabitants. When the soldiers have passed through the party wall, the occupants are assembled and, after they are searched for ‘suspects’, locked inside one of the rooms, where they are made to remain – sometimes for several days – until the military operation is concluded, often without water, sanitation, food or medicine. And this is where they left. They blew up the wall and continued to our neighbour’s house”. The ability of Israeli soldiers to ‘occupy’ the Balata refugee camp led IDF Central Command (in charge of the West Bank) to adopt this form of manoeuvre as the mode of attack on Nablus old city centre (the Kasbah) and the Jenin refugee camp, which commenced on 3 April 2002. An Israeli soldier described to me the beginning of the battle of Jenin: ‘We never left the buildings and progressed entirely between homes… we carved out several dozen routes from outside the camp into its centre… we were all – the entire brigade – inside the homes of Palestinians, no one was in the streets… we hardly ventured out… We had our headquarters and sleeping encampments in these buildings… even vehicles were placed in carved out areas within homes’. Another soldier, who later wrote a book about his experience during this attack, described in detail the movement through walls: ‘We studied an aerial photograph to find a house connecting the house we were in with the house to its south. Peter took the hammer and started working, but the wall wouldn’t break – for the first time we faced a wall that was built of concrete rather than of cinder blocks … using demolition explosive was the most sensible way. 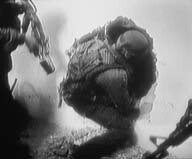 We detonated at least four demolition blocks [of explosive] until the hole became big enough to go through’. 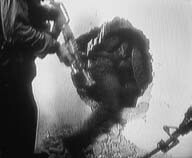 Since Palestinian guerrilla fi ghters were themselves manoeuvring through walls and preplanned openings, most fi ghting took place in private homes. Some buildings became like layer cakes, with Israeli soldiers both above and below a floor where Palestinians were trapped. The IDF has recently completed the production of 3-D computer models of the entire West Bank and Gaza, which provide intricate detail of individual houses, including the location of internal doors and windows. In 2002, however, soldiers were still using aerial photographs on which each house was given a four-digit designation number to facilitate the communication of positions. Orientation was aided by global position systems (GPS) and centrally coordinated by commanders using images from unmanned drones. When soldiers blasted a hole through a wall, they crudely sprayed ‘entrance’, ‘exit’, ‘do not enter’, ‘way to…’ or ‘way from…’ on the wall in order to regulate the traffic of soldiers and to find their way back through the labyrinth they carved out through the bulk of the city. The Kasbah of Nablus was the site of a radical experiment that took military activity beyond that of mere manoeuvre. 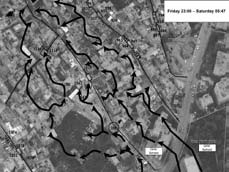 IDF officers had expressed their frustration over the fact that the quick invasion and occupation of Palestinian urban areas, such as Balata, had led to guerrillas disappearing and emerging again after the IDF’s eventual withdrawal. In a war council at IDF Central Command headquarters in preparation for ‘Defensive Shield’ at the end of March 2002, Kochavi insisted on the need to redirect the operation and make its aim killing of members of Palestinian armed organizations, rather than allowing them to disappear or even to surrender. Kochavi’s intentions were no longer to capture and hold the Kasbah, but to enter, kill as many members of the Palestinian resistance as possible and then withdraw. Military operations with the sole aim of killing were in accordance with clear guidelines laid down at the political level. In May 2001, only two months after he assumed office, Ariel Sharon summoned Chief of Staff Shaul Mofaz, head of General Security Service (or Shin Bet) Avi Dichter and their deputies for an urgent meeting at his private ranch. Sharon was explicit: ‘The Palestinians… need to pay the price… They should wake up every morning and discover that they have ten or twelve people killed, without knowing what has taken place… You must be creative, effective, sophisticated’. The following day Mofaz spoke to a gathering of field commanders at the 1967 war memorial (‘Ammunition Hill’). After ensuring that his words were not being recorded, Mofaz stated that he wanted ‘ten dead Palestinians every day, in each of the regional commands’. In an exceptional bypassing of military hierarchy he later called lowerranking field commanders individually on their cell phones, saying that he wanted ‘to wake up every morning to hear that you went on operations and killed…’ On Mofaz’s direct orders, ‘unnecessary killing’ and the killing of civilians were rarely investigated and soldiers who killed civilians were hardly ever punished. During the attack on Nablus, Kochavi ignored Palestinian requests to surrender and continued fighting, trying to kill more people, until Mofaz ordered the attack over. After the attack, Defence Minister Ben Eliezer called Kochavi on his mobile phone to congratulate him; another ‘well done’ was passed on from Sharon. The attack on Nablus was considered a success, both in terms of the number of Palestinians killed and in demonstrating both to the Israeli military and the Palestinians that the IDF could now enter Palestinian camps and city centres at will. Kochavi’s forces went on demonstrating this and entered Nablus and the Balata camp eight more times in the same way. It is mainly, but not exclusively, this enthusiastic laying out and enacting of Israeli security objectives that explain international calls for Kochavi to face a war-crimes tribunal. Referring to the context of Kochavi’s ‘success’, Naveh explained that ‘in Nablus, the IDF started understanding urban fighting as a spatial problem’. With regard to OTRI’s influence on these tactics he said that ‘by training several high-ranking officers, we filled the system with subversive agents who ask questions … Some of the top brass are not embarrassed to talk about Deleuze or [the deconstructive architect Bernard] Tschumi’. When I asked him ‘Why Tschumi? !’ (in the annals of architectural history a special place of honour is reserved for Tschumi as a ‘radical’ architect of the left) he replied, ‘… Tschumi had another approach to epistemology; he wanted to break with single-perspective knowledge and centralized thinking. He saw the world through a variety of social practices, from a constantly shifting point of view…’ I then asked him, if so, why does he not read Derrida and deconstruction instead? He answered, ‘Derrida may be a little too opaque for our crowd. We can read, but we know as well how to build and destroy, and sometimes kill’. In a lecture in 2004, Naveh presented a diagram resembling a ‘square of opposition’ that plotted a set of logical relationships against certain propositions relating to military and guerilla operations. Headings such as Difference and Repetition – The Dialectics of Structuring and Structure; ‘Formless’ Rival Entities; Fractal Manoeuvre; Velocity vs. Rhythms; Wahhabi War Machine; Post-Modern Anarchists; Nomadic Terrorists and so on employed the language of French philosophers Gilles Delueze and Félix Guattari. Reference to Deleuze and Guattari is indicative of recent transformations within the IDF, because although [the two authors] were influenced by the study of war, they were concerned with non-statist forms of violence and resistance, in which the state and military are the arch-enemy. In their book A Thousand Plateaus, Deleuze and Guattari draw a distinction between two kinds of territoriality: a hierarchical, Cartesian, geometrical, solid, hegemonic and spatially rigid state system; and the other, fl exible, shifting, smooth, matrix-like ‘nomadic’ spaces. Within these nomadic spaces they foresaw social organizations in a variety of polymorphous and diff use operational networks. Of these networks, rhizomes and war machines are organizations composed of a multiplicity of small groups that can split up and merge with one another depending on contingency and circumstance and are characterized by their capacity for adaptation and metamorphosis. These organizational forms resonated in themselves with military ideals such as those described above. The desire to unveil and ‘go beyond’ the wall could itself explain military interest in transgressive theories of art from the 1960s and 1970s. 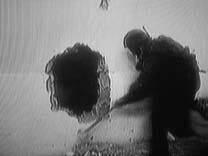 Most literally, the techniques of walking through walls bring to mind what the American artist Gordon Matta-Clark called ‘un-walling the wall’. From 1971 until his death in 1978, Matta-Clark was involved in the transformation and virtual dismantling of abandoned buildings. In this body of work known as ‘building cuts’, and his approach of anarchitecture (anarchic architecture) using hammers, chisels and bow saws, he sliced buildings and opened holes through domestic and industrial interiors. This could be understood as his attempt to subvert the repressive order of domestic space and the power and hierarchy it embodies. The ‘building cuts’ of Matta-Clark were featured in OTRI’s presentation material – juxtaposed with IDF holes cut through Palestinian walls. Other canonical references of urban theory touched on by OTRI are the Situationist practices of dérive (a method of drifting through the different ambiences of the city that the Situationists referred to as psychogeography) and détournement (the adaptation of buildings to new uses and purposes, other than those they were designed to perform). These ideas were conceived by Guy Debord and other members of the Situationist International as part of a general approach that was intended to challenge the built hierarchy of the capitalist city. They aimed to break down distinctions between private and public, inside and outside, use and function, to replace private space with a fluid, volatile ‘borderless’ public surface, through which movement would be unexpected. References were also made to Georges Bataille, who spoke of a desire to attack architecture: his own call to arms was meant to dismantle the rigid rationalism of a postwar order, to escape the ‘architectural straightjacket’, and liberate repressed human desires. The tactics were conceived to transgress the established ‘bourgeois order’ of the city as planned and delivered, in which the architectural element of the wall – domestic, urban or geopolitical (like the iron curtain that descended on Europe) – projected as solid and fixed, was an embodiment of social and political order and repression. Although representing a spectrum of different positions, methods and periods, for Matta-Clark, Bataille, the Situationists and Tschumi it was the repressive power of the capitalist city that should be subverted. In the hands of the Israeli military, however, tactics inspired by these thinkers were projected as the basis for an attack on the little protected habitat of poor Palestinian refugees under siege. In this context the transgression of domestic boundaries must be understood as the very manifestation of state repression. Hannah Arendt’s understanding of the political domain of the classic city would agree with the equating of walls with law and order. According to Arendt, the political realm is guaranteed by two kinds of walls (or wall-like laws): the wall surrounding the city, which defines the zone of the political; and the walls separating private space from public domain, ensuring the autonomy of the domestic realm. The almost palindromic linguistic structure of law/wall helps to further bind these two structures in an interdependence that equates built and legal fabric. The un-walling of the wall invariably becomes the undoing of the law. The military practice of ‘walking through walls’ – on the scale of the house or the city – links the physical properties of construction with the syntax of architectural, social and political orders. New technologies developed to allow soldiers to see living organisms through walls, and to facilitate their ability to walk and fire weapons through them, thus address not only the materiality of the wall, but also its very concept. With the wall no longer physically or conceptually solid or legally impenetrable, the functional spatial syntax that is created collapses. In ‘the camp’, Giorgio Agamben’s well-known observation follows the trace left by Arendt, ‘city and house became indistinguishable’. The breaching of the physical, visual and conceptual border/wall exposes new domains to political power, and thus draws the clearest physical diagram to the concept of the ‘state of exception’. Eyal Weizman is an architect based in London and Tel Aviv. He is also editor-at-large of Cabinet. 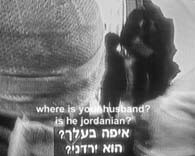 This is an edited version of a piece from Hollow Land, Weizman’s collection of essays on “Israel’s architecture of occupation”. “Walking through Walls” was previously published in Chimurenga Vol. 12/13 (available here).